The Ball Cart BC 200 is our most popular ball cart. Ideal for baseball! 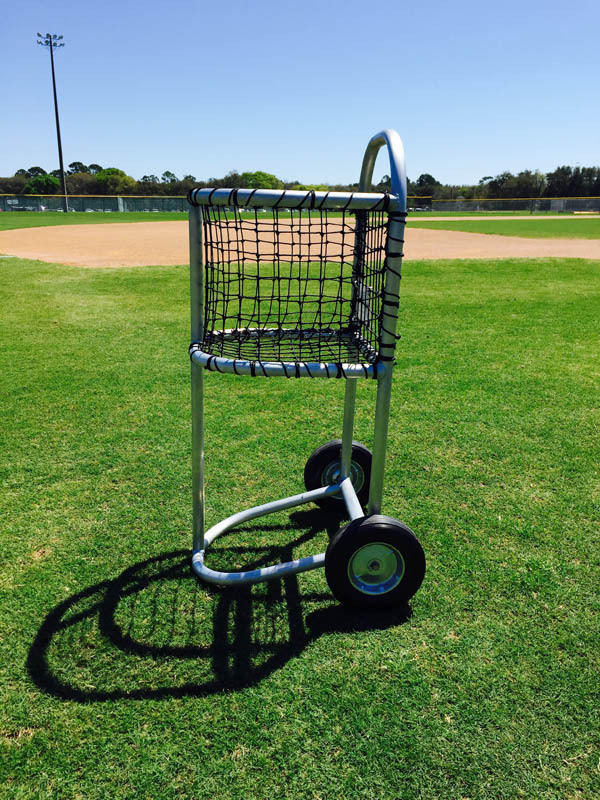 The BC 200 is the perfect ball basket size for baseball use. With ease of portability, the BC 200 can be used on the field or in your batting cage. All carts are built here in the USA at Burbank’s facility by an experienced welder. The all welded schedule 40 pipe construction of the BC 200 will ensure many years of use. One ball cart will ship ups ground. Two or more will ship via truckline.